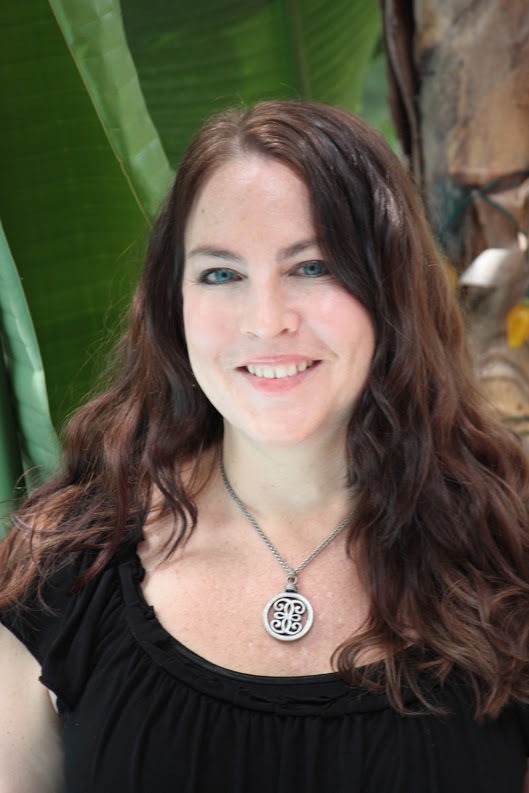 We are pleased to welcome author J.J. Howard to the blog today. 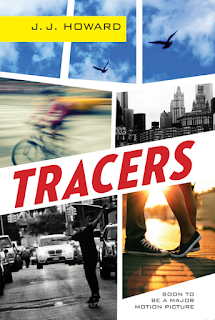 Her YA novel, Tracers, pictured below, was released as a film in March starring Taylor Lautner from Twilight. J.J. is here today to share with us some of her insight and advice on the writing life learned from her years of experience. She's also giving away two books, so be sure to check the Rafflecopter at the end of the post! Cats are classic, but I say go dog. First, dogs are more the encouraging type. When it’s hour nine of a work slog and you look like a person who lives in a box and forgot how to shower, dogs will still look at you like you’re a rock star. At a moment like this, I’m thinking the aloof and, let’s face it, slightly judgmental cat is not your best bet. Also, dogs need to be walked, and this forces you to take a break once in a while to go be with the outside people. I don’t mean slip an envelope under your publisher’s door—no, I’m referring to bribing yourself. Unless I’m absolutely on fire with a new idea—which is too infrequent to be counted upon—I must rely on bribery. I suppose there may be writers out there who wake up every morning filled with the bright, pure light of inspiration, who float on a cloud of ideas from one chapter to the next. If you’re one of those, good on you, but for the rest of us, there’s the bribery-based word sprint. My sprint system works like this: I select a target word count, give myself a defined period of time (usually one hour), then give myself a “reward” when I hit the target. I personally try to ignore the sports-connotation of the words sprint completely, probably because most of the time I’m sprinting toward some sort of food. But you could sprint towards a spot of yoga or a long run, or whatever, if that’s your bent. Sometimes my reward is a snack and a short break. Sometimes it’s lunch. The logic here is muddy, since I allow myself to have lunch even on days when I don’t write a word, but it’s really more the taking-a-break aspect that’s the lure. Once in a while, if I’m really stuck, I’ll give myself a bigger carrot, like a half hour to shop online and even a budget of how much I can spend in that time. By that I mean, don’t get too married/attached to the first version of any of your characters. Or settings. Or plot. I know they seemed brilliant when you had the idea at one in the morning, when after a long day of writing the light bulb appeared above your head and you figured out the perfect way to fix chapter 13. Your dog certainly seemed impressed. However (the writing life is full of howevers—they say to avoid adverbs, but there’s no avoiding this one). However, what you wrote at first is going to change. First, your beta readers or writing group won’t get chapter 13. It confused them, maybe. Or maybe it was just boring. You’ll fee sad. It was your favorite part. You may stubbornly cling to the original chapter 13, but the next round of folks to read it may very likely say the same thing. Or perhaps 13 will skate by, but the best friend character you adore will suddenly have his head on the chopping block. The point is, writing is rewriting, and it’s less painful—and more productive—to view your first draft as a work in progress. No one’s ever sold a raw first draft. Or, if they have, I sure don’t want to hear about it. Not just for writing—this is life advice, really. But the book business can be kind of crazy. You’ll get conflicting advice from separate, reliable sources. Your favorite project will languish in a drawer while something you weren’t sure about at the start takes off. Someone will see you walking your dog with a Cheeto in your hair. Learn to laugh about the ups and downs, and remember, it’s all material for your next WIP. By day I teach English, Humanities, and Media Studies at a prep school in Florida. By nighttime I’m really tired, but I still love to write books: my debut YA, That Time I Joined the Circus was published by Scholastic in 2013, followed by Tracers from Putnam in 2014. My debut MG, Sit, Stay, Love is coming this January from Scholastic. Way back in the way back, I went to Dickinson College in Carlisle, PA, and I got my Masters from Tiffin University in 2010. I am moderately obsessed with coffee, French fries, and pop culture, especially anything by Joss Whedon. Some good advice here, especially the advice about the dog. I read J. J. 's book when it came out and loved it. Thanks for the post.